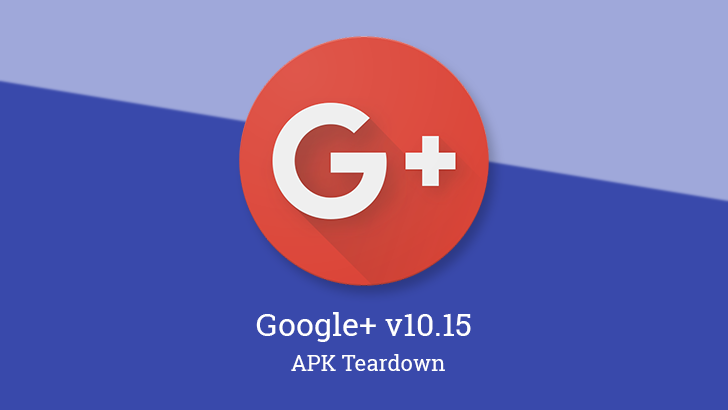 Google+ may have fallen out of the spotlight, but we've seen one update after another in the last few months that point to what may turn out to be a really significant revision to the social network. There have been signs for new formatting capabilities, a title layout, and even bookmarking posts to revisit later. The latest update speaks to yet another new feature that may allow for a new type of customizable stream. The first bit of this teardown actually feels a bit unremarkable to me, but it leads into the part that makes this more interesting, at least if you extrapolate out a little bit. So, to begin with, there are new strings named with "custom stream" as a prefix. It appears that there will be a "Streams Home" page for accessing and managing the custom streams, and each can be given a title and description. Right about now, Google+ veterans are probably asking how this is any different from Circle Streams, which are basically just feeds containing only posts from people in a circle. Besides setting a description, of course, I'm afraid I couldn't tell you. There will surely be more details to come. I'm only speculating here, but I'd like to imagine it will be possible to define criteria like word lists, custom searches, and other methods for automatically filtering content from the people you follow. Perhaps it would allow users to build custom streams containing both collections and accounts, which is currently not allowed with Circle Streams. While I can't tell you how the custom streams will work, I can say that they will have a new and very interesting feature: Unread counts. Okay, that probably doesn't sound interesting either, but stick with me on this. Google+ has been algorithmic since day one – meaning posts weren't sorted in simple chronological order, but instead basing the order on criteria like a post's total engagement and your typical level of interest in a given person's posts. (Note: there are exceptions, some views are sorted chronologically.) As a result, it was actually possible for posts from just a few minutes earlier to land several pages down, and might be easily missed or never shown. With unread counts, Google+ will be showing firm numbers for posts that have come in since the last time you checked a particular stream, and logically, all of those new posts should be stacked at the top for easy viewing. This will make it easier to keep up with the material you don't want to miss. With so many changes lined up for Google+, I'm starting to doubt that they'll come out in a staggered release. We might be looking at a proper announcement featuring all of the new toys.